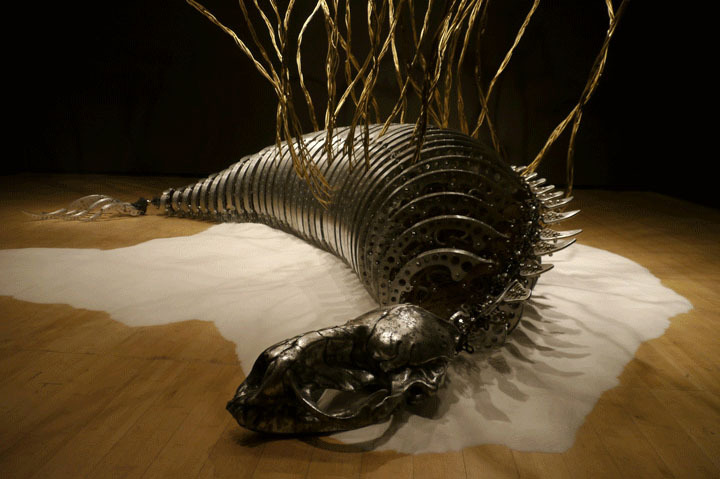 U-Ram Choe is a Korean artist born in 1970 in Seoul. He is best known for his meticulously designed kinetic sculptures made of acrylic and stainless steel, each animated by robotics developed and programmed by the artist. Often equipped with motion sensors, Choe’s beautiful mechanic creatures react elegantly or alarmingly to visitors’ movements around them. 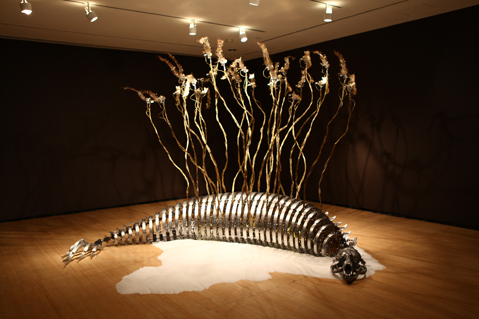 They are accompanied by texts that tell the story of their imagined origins and evolutionary histories. 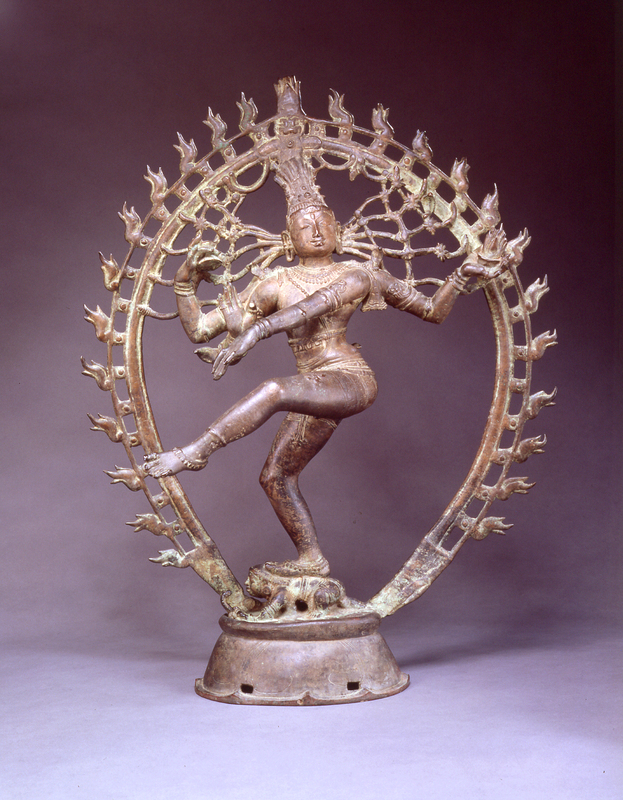 For this first New York museum solo exhibition, Choe was inspired by Shiva as Lord of the Dance (Shiva Nataraja) from Asia Society’s Mr. and Mrs. John D. Rockefeller 3rd Collection. This late tenth-century sculpture in turn gave birth to Choe’s own mythological tale of the guardians of two imaginary worlds. He calls them Custos Cavum, or “guardian of the hole” in Latin. This creature protects the flow of communication between the two realms that assures mutual respect. In this fable, the guardian is a symbol of coexistence just as the Hindu god, Shiva, is a symbol of balance and harmony. The artist’s tale reflects the specific contemporary context of the political and economic repercussions of globalism, as well as ecological consciousness. In conjunction with the work that will be installed in the gallery, the artist will also create a related work for the Asia Society window space facing 70th Street at street level. The artist’s mythical story of Custos Cavum connects this small kinetic sculpture in the window to the larger installation that focuses on the circle of life and death. In Focus is an ongoing series of exhibitions, in which contemporary artists are invited to create new works of art inspired by Asia Society’s Mr. and Mrs. John D. Rockefeller 3rd Collection.